​One advantage of a federal system is enabling people ill-treated by one government body to “vote with their feet” toward less abusive jurisdictions. That escape valve is one rationale for reserving some political policy determination for state rather than national government, or to local rather than state government. However, devolving political power to lower-level governments does not serve citizens’ rights when it comes to rent control, because rent control paralyzes owners’ ability to escape imposed burdens by voting with their feet. ​Why would we expect to see rent control in majority-renter cities? Renters greatly outnumber rental property owners, so they have the votes to determine majority outcomes. 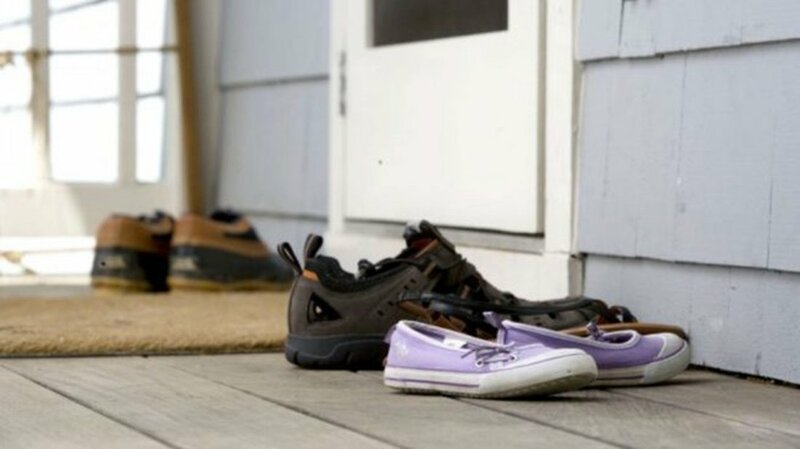 Many of the far-outnumbered rental property owners cannot even vote on the issue. By stripping owners of much of their properties’ value, local majority power can provide renters with the greatest wealth transfer possible—often involving several hundred or even thousands of dollars in rent each month as compared to free-market prices. And given that rent controls give residents virtual tenure for as long as they choose to stay, that wealth transfer can reach well into six digits for a renter. "California voters' decision to reduce penalties for drug and property crimes in 2014 contributed to a jump in car burglaries, shoplifting and other theft, researchers reported. Thefts from motor vehicles accounted for about three-quarters of the increase. San Francisco alone recorded more than 30,000 auto burglaries last year, which authorities largely blamed on gangs. Shoplifting may be leveling off, researchers found, but there is no sign of a decline in thefts from vehicles." 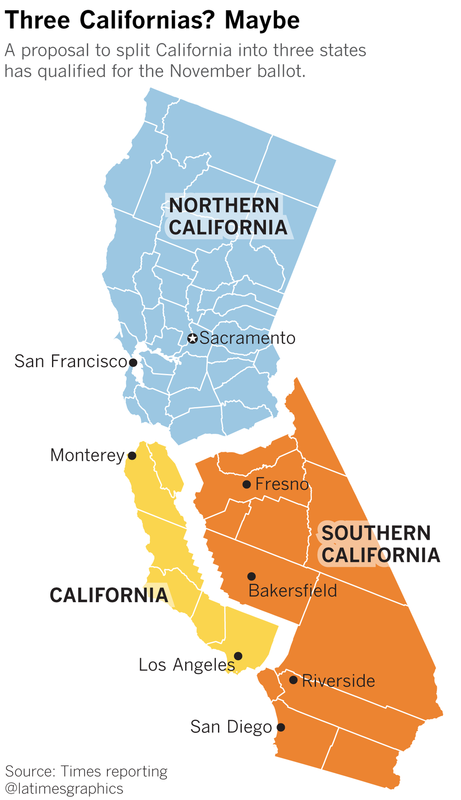 "California’s 168-year run as a single entity, hugging the continent’s edge for hundreds of miles and sprawling east across mountains and desert, could come to an end next year — as a controversial plan to split the Golden State into three new jurisdictions qualified Tuesday for the Nov. 6 ballot. It would be the first division of an existing U.S. state since the creation of West Virginia in 1863." "California suffers from droughts, but the state’s government is an endless well of bad ideas. The latest absurd legislation, which Gov. Jerry Brown, a Democrat, signed into law, places onerous restrictions on water usage. California citizens will be limited to using 55 gallons of water a day now and just 50 per day by 2030. As some have noted, the restriction could make it difficult for some California citizens to do laundry and take a shower on the same day without going over the limit.​ A Snopes fact check said that this fine is placed on the water provider, not the consumer as some have claimed. This misses the fact that the cost of the fines likely will be passed on to the customer, either directly for violations, indirectly through increased cost of water, or worse, by threatening to shut off household water consumption to avoid fines. Even some left-leaning outlets admitted the impact on consumers is unknown and the 55-gallon limit is much lower than the average summer usage for the typical Californian. Taking a shower and doing laundry could exceed that amount for some." 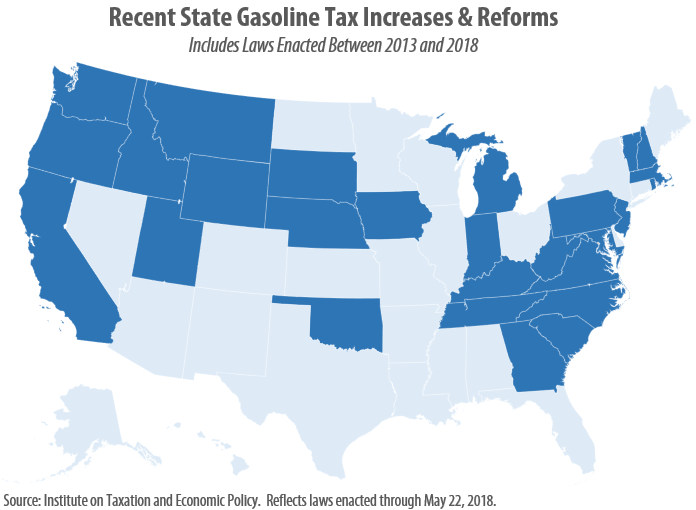 ​"State tax policy can be a contentious topic, but in recent years there has been a remarkable level of agreement on the gasoline tax. Increasingly, state lawmakers are deciding that outdated gas taxes need to be raised and reformed to fund infrastructure projects that are vital to their economies. [Read ITEP’s latest brief How Long Has It Been Since Your State Raised Its Gas Tax?] In total, 27 states have raised or reformed their gas taxes since 2013. That number could soon rise to 28, depending on the outcome of a 10-cent increase Missouri residents will vote on in November. 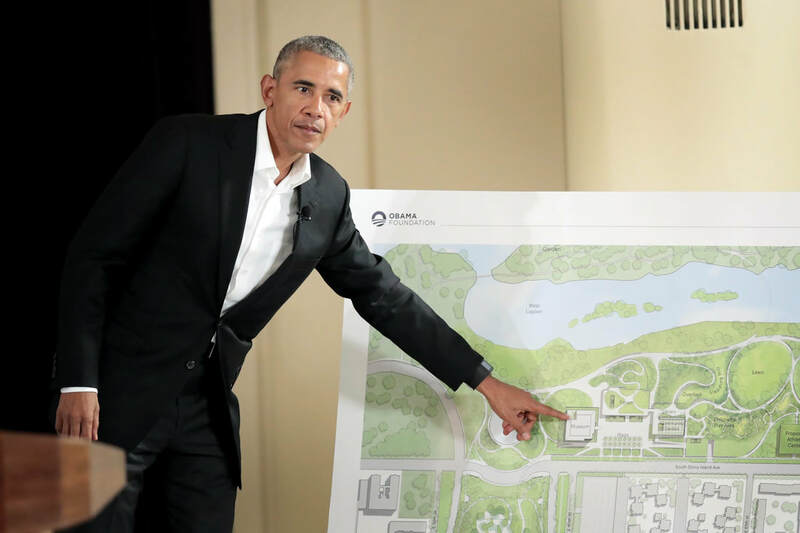 A summary of gas tax increases and reforms enacted since 2013 is provided below...."
"In Barack Obama’s adopted hometown, of all places, his $375 million Obama Presidential Center is running into growing headwinds from a few gutsy souls. 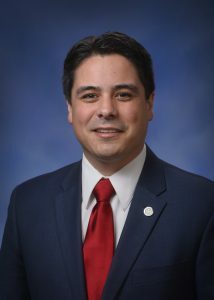 In a letter to the Michigan Public Service Commission today, State Rep. Shane Hernandez (R-Port Huron) demanded the commission act in response to what he calls “absurd bills” sent by Michigan energy suppliers to some customers. The letter sent by Hernandez (attached) included an example of one citizen’s bill for over $1.9 million which Hernandez feels is just a symbol of the problems Michigan consumers face when state law guarantees a virtual monopoly for a select few energy suppliers. "To the jailers of California, the Mexican Mafia is known as the gang of gangs. 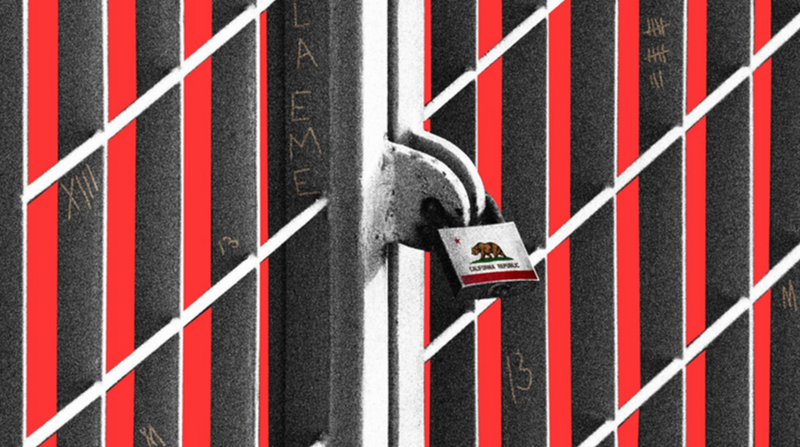 Any member of a Latino street gang sent to prison or jail in California likely has to abide by the rules and dictates of the gang while in prison. Even to the point of making peace with their long-time hated rivals. 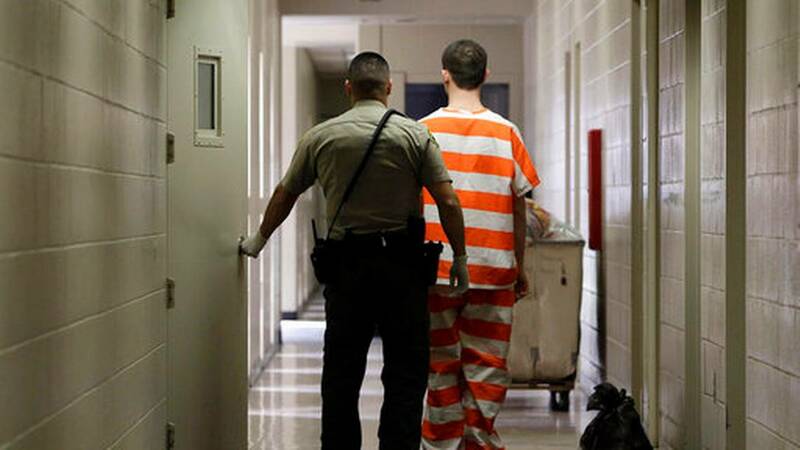 “They have the ability to turn gangs that are historically sworn enemies that fight on the streets into allies when they come inside our jail system,” said Commander Joseph Dempsey of the Los Angeles County Sheriff’s Department. Author and former Los Angeles Times reporter Sam Quinones has chronicled the Mexican Mafia and associated Latino street gangs of California for two decades. Quinones says the gang’s power extended as its 30-year reputation for viciousness in the jail system won the allegiance of Latino street gangs throughout Southern California. “The Mexican Mafia’s influence and importance to Southern California goes far far beyond the prisons now,” Quinones told The Daily Beast." 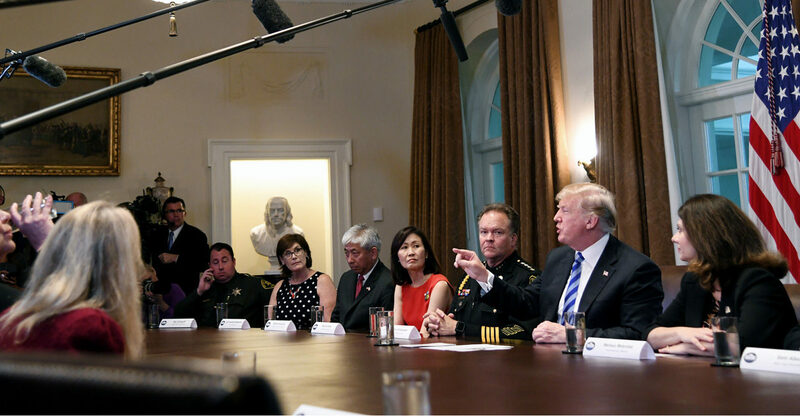 "California law enforcement and local officials gathered at the White House on Wednesday to make it clear that Sacramento doesn’t speak for them on illegal immigration. The Democrat-controlled state Legislature passed and Gov. Jerry Brown, a Democrat, signed a “sanctuary state” law that prohibits state and local law enforcement from cooperating with federal immigration authorities on matters such as detaining illegal immigrants in local jails or reporting them. California state Assemblywoman Melissa Melendez, a Republican, praised President Donald Trump for holding the White House meeting, noting that Brown has not met with Republican officials. “This is your Republican resistance right here,” Melendez told the president during the Cabinet Room meeting, obliquely referencing the “resist” movement among some Democrats and liberals dedicated to opposing Trump’s policies." 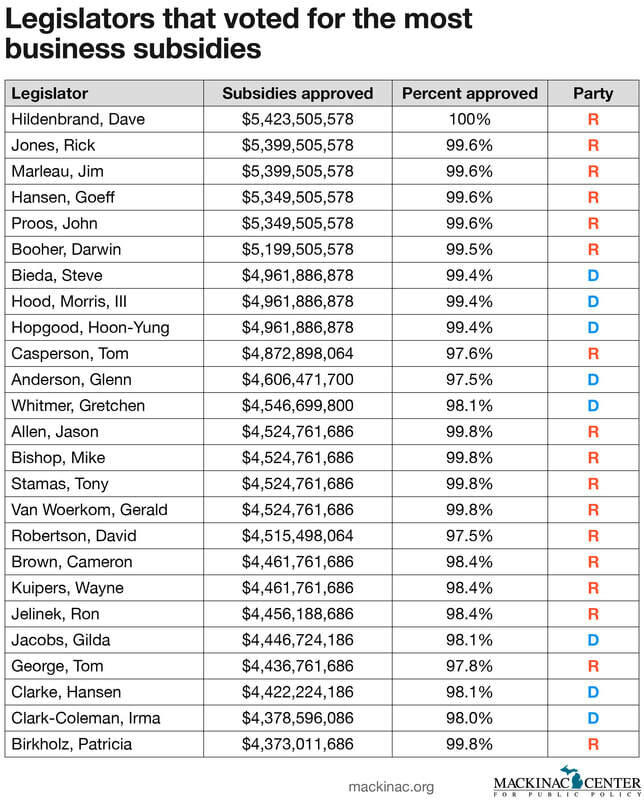 "Michigan voters can now see where their lawmakers have stood on state business subsidies from 2001 and into the current legislative session. A new scorecard from the Mackinac Center and MichiganVotes.org shows where every lawmaker came down on votes for corporate handouts that pit regular taxpayers against select business interests and developers. These amounts have been pledged in the name of creating or retaining jobs in the state. But by taking tax dollars from everyone and delivering them to a favored few, the lawmakers have cost the state jobs rather than added them."